During my childhood, all that mattered to me was having new clothes, an uncountable number of toys and of course bonding with my family members over a sumptuous meal. More often than not I would shy away from eating my mother’s specialty, ugali and barbecue, but she would easily lure my appetite and made me eat everything that was served to me by occasionally handing me a glass of Coke which I must admit made a perfect accompaniment. 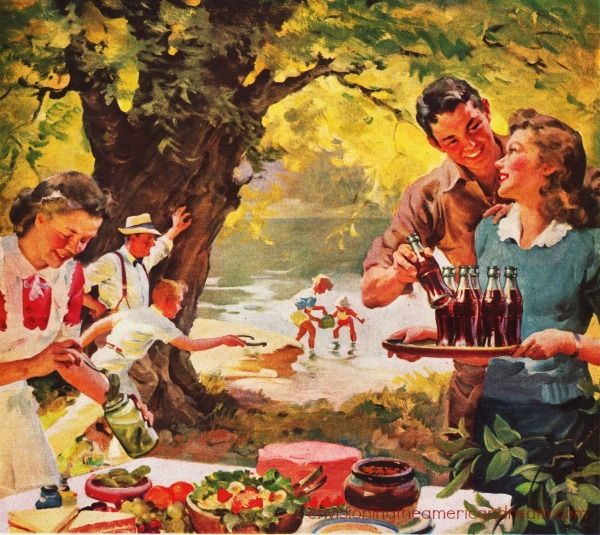 The inclusion of Coke into our diet not only acted as bait to make me gobble my food but it also marked a special occasion in the family as soda was mostly served when we had family gatherings or when we went to eat out as a family. As I grew up, Coca-Cola was not only a beverage but it was also medicine. Toddlers between the ages of 4 and 6 had the tendency of contracting ringworms and other skin diseases basically through their interactions with affected friends. I was once a victim of a ringworm outbreak in my kindergarten and I don’t mean to imply that we were too broke to go to hospital but our parents collaboratively made us take baths in Coke to get rid of the infection. The treatment proved successful yielding long-term results and it is typical of my mother to offer the same advice to my aunts whose kids are struggling to overcome the ringworm menace. It is therefore safe to say that Coke is my family’s trusted treatment for skin diseases. Christmas was never a big deal if the mood was not set right by the Coca-Cola television commercial showcasing Santa Claus driving throughout a city that I used to perceive was my hometown despite the obvious absence of snow covered lawns. Though broadcast on television in the last two weeks of December, the Coca-Cola commercial ushered in the spirit of Christmas in our homes and left us all feeling happy and grateful for the love that we had in our families. The gifts did not matter as much as getting together with family members and gaining a couple of kilos after feasting the entire holiday which spans for well over a month. Coca-Cola has grown with us throughout our childhood giving us different memories to add on to our list with each passing year. With the increase in demand to reach a wider target audience the company has come up with a wide range or products that have touched our lives in many ways. Be it Dasani, the bottled water that saw to separate the wheat from the chaff when it was first introduced into the market or the amazing gift hampers which included branded Coca-Cola merchandise, the company seems to have their own way of making the consumers spoilt for choice seek more of their products in the diverse and competitive markets which have been flooded with a variety of substandard items. Next Next post: Drinking our way to the top!